Cloud infrastructure providers appear to have found a way to convince enterprises to put some of their more sensitive data and applications into the cloud, and that way is linking customers’ servers to their own with direct, private connections, often in the same data center, without using the public internet. While IBM SoftLayer has offered private connectivity to its cloud out of colocation data centers before, this week it announced a substantial expansion of that effort. It has partnered with several major data center and network service providers to sell this kind of cloud connectivity services in their data centers around the world. The data center providers are Equinix, Digital Realty Trust, Amsterdam’s Interxion, and Australia’s NextDC. 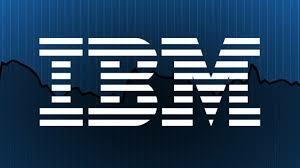 IBM named Verizon and Colt as partner network operators, although both offer data center services too. IBM has also added the option to take a colocation cabinet within some of its own data centers for the purpose of connecting directly to cloud servers. IBM is a major Digital Realty customer, and so is Equinix, so in many cases those cabinets are likely to be within Digital Realty facilities. The pitch is giving enterprises a reliable and secure way to build hybrid infrastructure, combining servers under their control with rented cloud capacity. IBM is promising a seamless hybrid cloud, where users can move workloads to and from its cloud servers, as if they were part of their own internal network. While security is a big part of the appeal, performance is an almost equally important aspect. Equinix ran a test, comparing a data transfer over the internet to the same data transfer over a direct link, in this case ExpressRoute, a private cloud connectivity option offered by Microsoft Azure. The difference was stark: a 1GB file transfer over the internet took 93 seconds, while the same transfer over Azure ExpressRoute took 41 seconds. That’s more than twice as fast. Private cloud connectivity promises to fuel the rate of cloud adoption by enterprises, but it’s also expected to drive a lot of growth for data center providers that offer it.